Royal Hill Condotel building C floor 4, on Thappraya Road, Jomtien. Front corner unit with 2 bedrooms, 2 bathrooms, European kitchen / diner, Lounge with home theatre. 3 balconies, 120 degree sea view. Water purifying system linked to American ice box. Cable TV, UBC TV, ADSL Internet (TOT’s fastest). 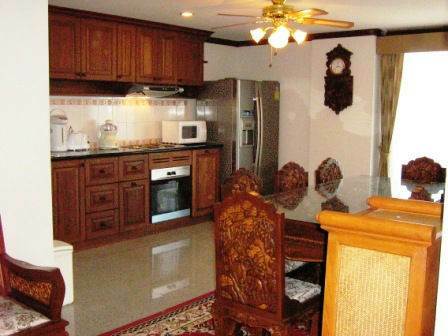 Maintenance 2,920 Baht per month. Foreign ownership. Our reference JTC1028.